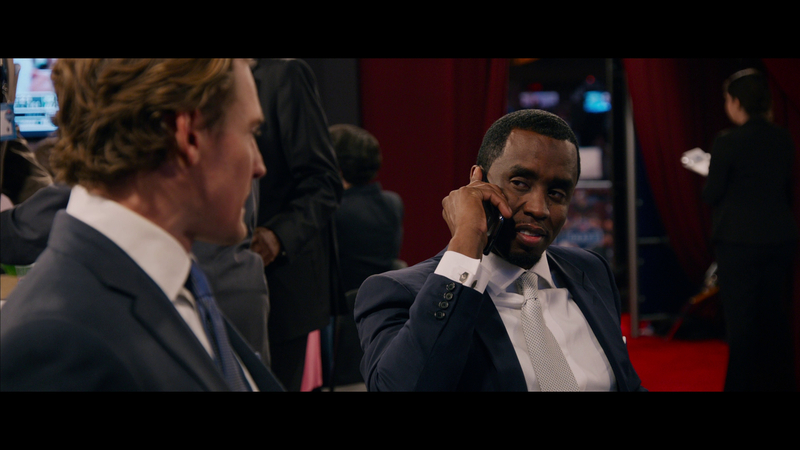 Ivan Reitman steps outside his comfort zone of zany comedies to direct his best project in years, Draft Day, which explores the behind-the-scenes dealings of a fictional NFL Draft. 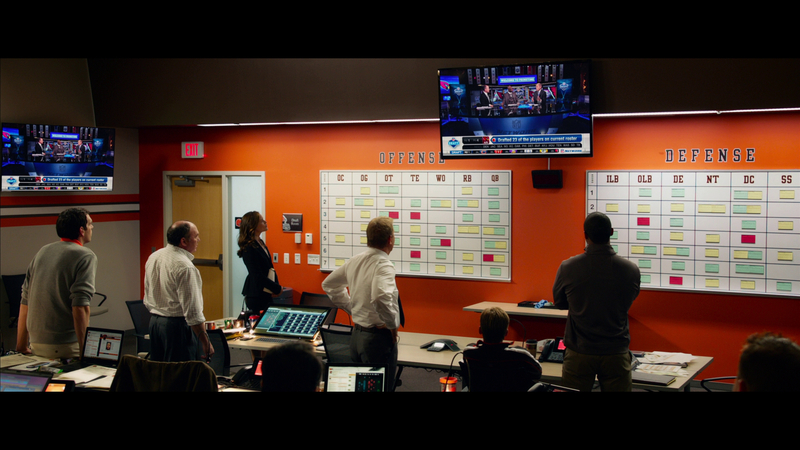 Like Moneyball before it, Draft Day makes accessible drama of a fairly technical process. 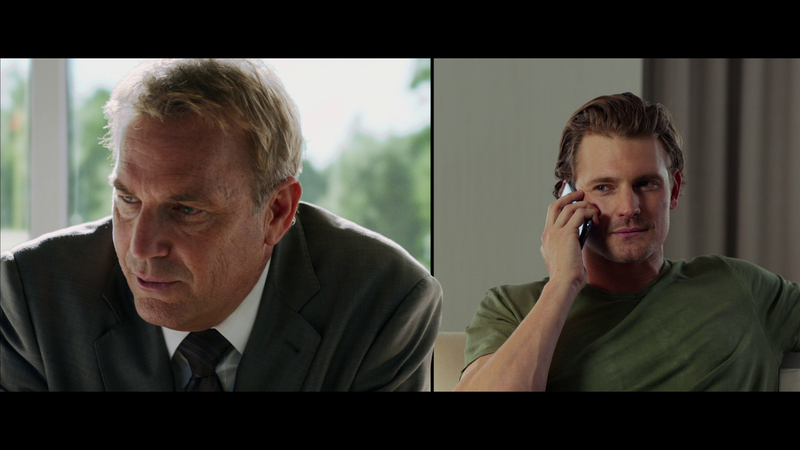 Kevin Costner plays Sonny Weaver Jr., the general manager of the Cleveland Browns, who is itching to make his mark in the NFL by bolstering the Browns' roster in the draft. 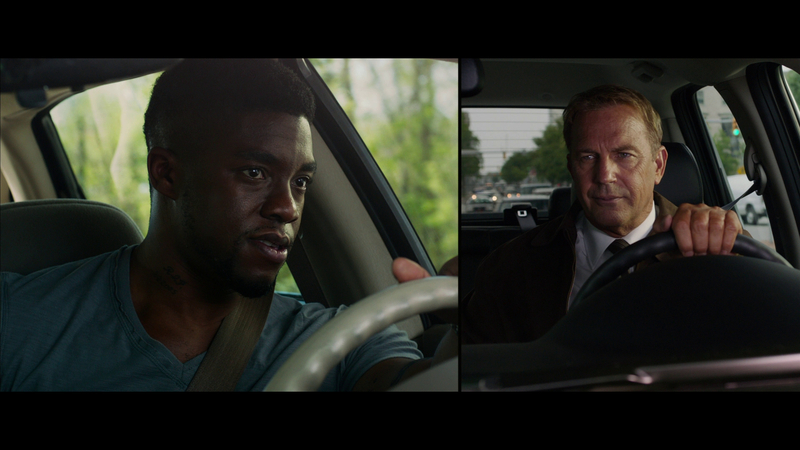 Draft Day is excitingly tense, in a love-of-the-game way, during the final trading action, and it is enjoyable to see Costner executing the trades like an old pro. 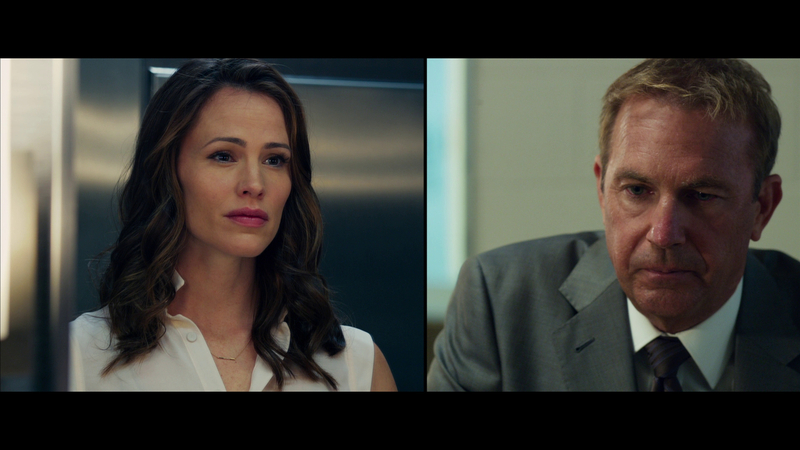 The generous supporting cast includes Jennifer Garner as Ali Parker, a lawyer for the Browns who is pregnant with Weaver's child; a flashy Frank Langella as the Browns' owner; Ellen Burstyn as the Weaver matriarch; and Chadwick Boseman as a dark horse draft hopeful. This may not be the most memorable sports movie ever created, but it is a fair shake better than most of its kind. 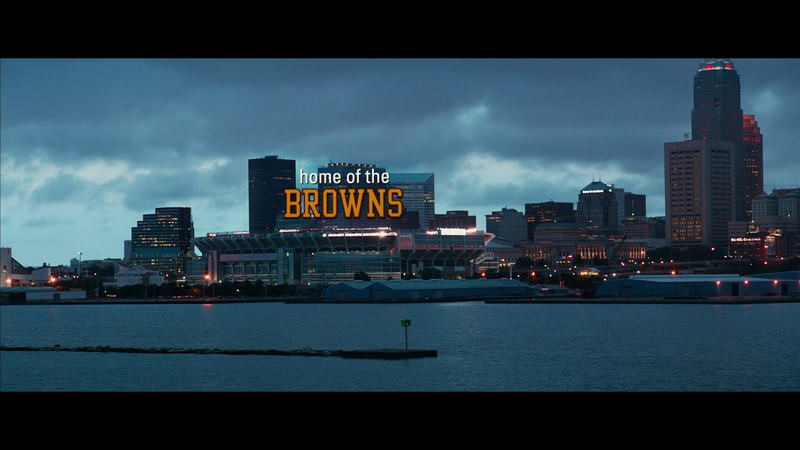 Reitman dresses the film up with attractive tracking shots of Cleveland and Seattle, and uses plenty of split screen and cross-cutting between locations. This could have unnecessarily muddled the drama, but Reitman exhibits restraint and skill and gives the film a crackling energy throughout. The impending draft serves as backbone to the personal drama with Weaver. Weaver's father passed away shortly after Sonny fired him as longtime head coach, something that weighs heavily on the younger Weaver. Sonny wants for the first time to assemble his own team, without outside interference or noise from his coaching staff. Sonny's seeming lack of empathy pays off with a few difficult players on the Browns' roster but annoys his coaching staff, makes his prospects uneasy, and angers his girlfriend, who experts more than a child-support check. Reitman wisely avoids sending Sonny through a 180-degree character transformation, which would have rung false. Sonny knows what he's doing in the draft, and, while he learns to better interact with Ali, it is refreshing to see a film that lets its flawed character succeed by embracing those warts. Two major players in the draft are Boseman's Vontae Mack, a perceived late-round prospect from the Ohio State defense, and Josh Pence's Bo Callahan, the reigning Heisman Trophy winner. Sonny pursues Mack despite his staff's indifference, and flirts with using his number one pick on Callahan. A little research into the all-star's past raises red flags with Sonny, who works the draft from all angles. Further complicating matters is head coach Vince Penn (Dennis Leary), who is loyal to ailing quarterback Brian Drew (Tom Welling). 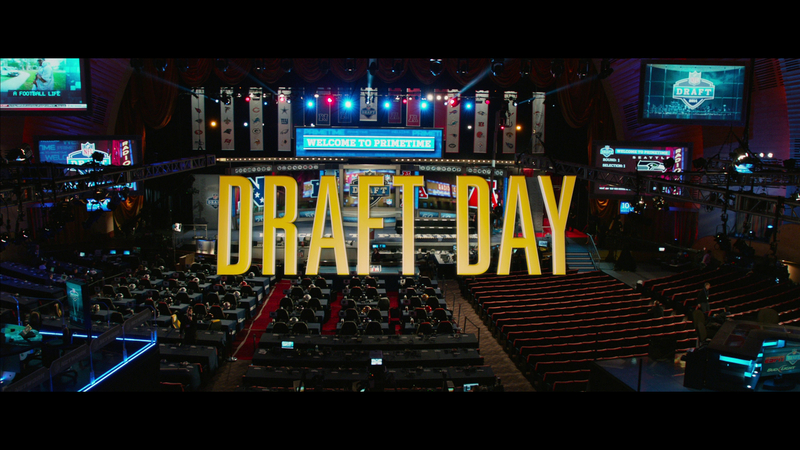 There is enough to like about Draft Day to recommend, and you do not have to be a sports fan to enjoy the film. 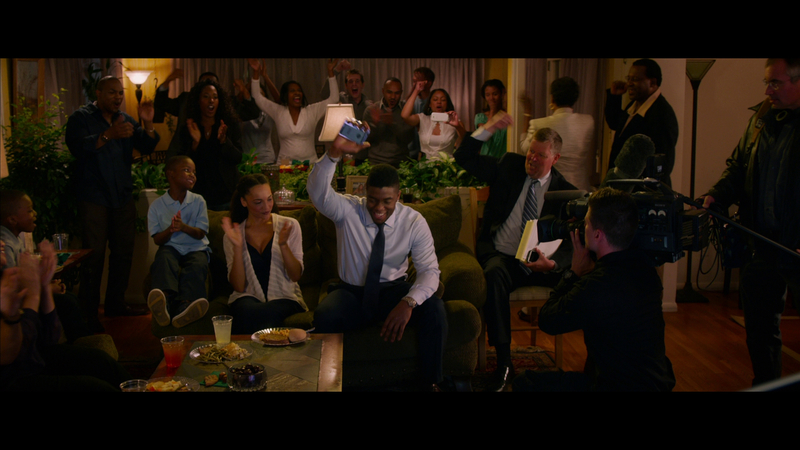 The movie does not pander with extended exposition on the draft or the NFL, but it makes it plenty clear what the stakes are. 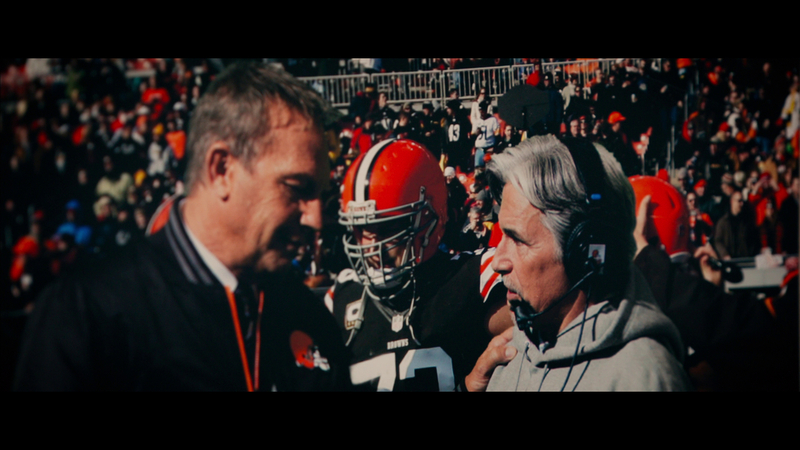 My biggest criticism is the film's surface-skimming dive into NFL politics and fandom in Cleveland. 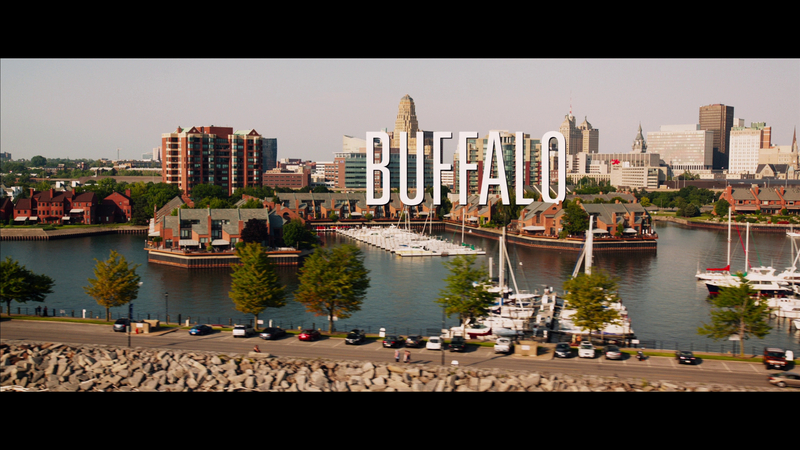 Reitman captures plenty of hometown pride and garb in establishing shots, but mostly keeps the city at arm's length. The same can be said for Seattle, whose Seahawks play a big part in Sonny's draft-disappointment dodging. I spotted veteran NFL agents David Dunn and Eugene Parker in bit parts, but the film's "friendly and fun" NFL is most a silver-screen creation. Despite a lack of depth, I enjoyed Draft Day and its players, and Reitman does a nice job shooting the draft basics for beginners. The 2.40:1/1080p/AVC-encoded image looks positively brilliant. Encoded from a digital source, the picture absolutely pops, with vivid detail and texture. Wide shots are miles-deep and crystal clear, and close-ups reveal nuanced fine-object detail. There are plenty of bold colors, all nicely saturated, and Reitman's tracking shots of stadiums and cityscapes come alive in HD. There is a complete lack of banding, jagged edges or compression artifacts. Skin tones and black levels are good, and I noticed no digital hiccups. The 5.1 DTS-HD Master Audio soundtrack is fairly immersive, and allows ambient effects like crowd noise and street sounds to surround the viewer. Dialogue is plentiful and crystal clear, and is balanced nicely amid the effects and score. A Spanish 5.1 Dolby Digital track is included, as are English, English SDH and Spanish subtitles. This two-disc "combo pack" includes the Blu-ray, a DVD copy of the film, and both iTunes and UltraViolet HD digital copies. The discs are packed in an eco-case, which is wrapped in a slipcover. There are a couple of solid extras: You get a Commentary with Writers Rajiv Joseph and Scott Rothman, which does a lot of narrating what is on screen. Better is On the Clock: The Making of Draft Day (59:38 total/HD), a two-part making-of with excellent interviews and behind-the-scenes footage. You also get Welcome to Primetime (9:49/HD), about the NFL Draft, some Deleted Scenes (8:36 total/HD), and the film's Theatrical Trailer (2:32/HD). 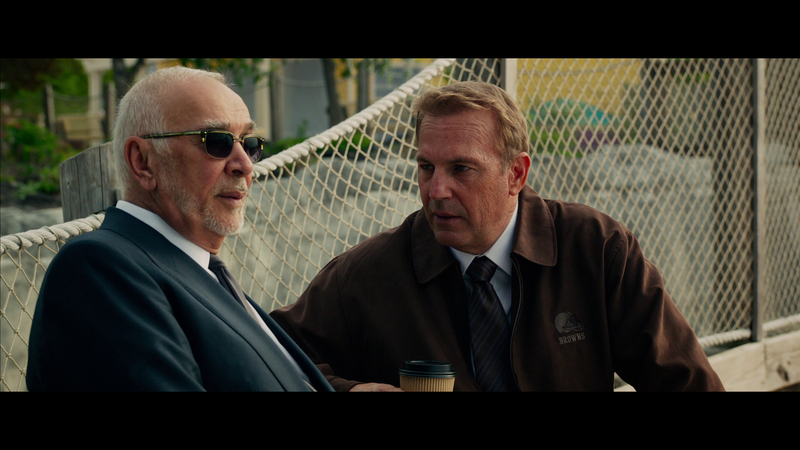 Ivan Reitman's Draft Day is certainly passable entertainment, thanks to a good performance from Kevin Costner as the Cleveland Browns' general manager in charge of the team's NFL draft picks. The film makes accessible drama of a technical process, and, while not as deep as NFL diehards might hope, this is still an entertaining film that blends sports and personal drama. Recommended.